Symbolic stewards Virgo, Mercury, imprisoned Neptune, Jupiter, in the fall of Chiron, Venus. If in the 5th house a person loves God, then in the 6th he expresses his love materially, personal service to him. In a more prosaic language, the 6th house is the house of everyday work, which, in fact, fills the human life with meaning, although the latter is not always obvious to the person himself. The houses are to a large extent included by the relation of a person to what is happening; in particular, the 6th house is activated when a person asks himself: "What should I do in this situation?" and, rolling up my sleeves, proceeds to execution. All people quite clearly fall into two categories: some prefer the 5th house to the 6th, believing that, ideally, life is a continuous holiday, others, on the contrary, give preference to the 6th before the 5th, they are bored to have fun, and the only interest in life represents work, and they see rest as a change in the kind of activity. Creativity, however, involves the inclusion of both houses, first the 5th, when the image of the artwork is created, and this is always to some extent a game, and then the 6th, when the image is embodied, and this is work, just as creation the role of the actor is under the 5th house, and the game on stage, especially the professional, is largely under the 6th, although the 5th, of course, should also be included - it gives a feeling of freshness (under the clean 6th house it goes completely played play). So. under the 6th house is work - service (at its level) to God, but also service to specific people. Thus, according to the 6th house there is a gentleman, i.e. the person to whom the person serves, as well as his own servants. It should be emphasized that here is meant a personal service where the identity of the servant (master) is important, and what he does has a distinct imprint of his personality, just as work on the 6th house is personal expression in labor, and the result of this there necessarily be an imprint of the identity of the employee. Therefore, it is difficult for children, with their strong 5 house, to get used to doing work under the 12th house, completely impersonal, when it is impossible to understand by the results of labor who did it (washing dishes, cleaning the house, etc. ), and it is much easier to work under the 6th house , when the results of the activities are visible imprint of the person (to put toys for the night in a special box - 12 house, and place them on the shelves of the ward at the child's choice, but that was the order that he will determine himself - 6 house). On the 6th house, apart from the servants, there are still tools (tools) and subconscious programs that manage the skills of working with these tools. But the most important tool of a person is his body, with the help of which any work is done. Aspects 6 of the house determine the ways in which the body is used as an instrument of work, the degree of its perfection, the load on it and the necessary protection measures, i.e. health, nutrition, hygiene and disease. From the point of view of the Absolute, the illness, like overcoming weakness, poor health, physical pain, is a work (for 6 houses), which a person must perform, if he does not or can not, for various reasons, fulfill it by another person. Of course, the disease is not the most constructive kind of work, but some karmic nodes can not be otherwise untied, and here, too, a certain humility is required. It is very important to understand correctly the self-affirmation of the 6th house, which is the inner satisfaction of the work done, and the support of the energy flow, which compensates for the costs of personal energy. Every possible laurels, fame and honors, ranks, etc. go to 9 and 10 houses, and self-affirmation of the 6th house is almost imperceptible to others, but it is absolutely necessary for a person as a constant ongoing Divine support for his activities, when God (as if) says: you are doing everything right. At the first level of elaboration of the 6th house, a person perceives labor as a grave necessity and injustice on the part of fate; but there are rich slackers, lucky ones, doing nothing and skipping cheese in butter! He does not see any advantages in the ministry, and in creative work he appreciates only moments of insight and creation of the image, and his implementation seems to him inexpressibly boring. At this level, services are perceived purely materially, and the principle "I to you, you to me" prevails, when any merit implies a reciprocal or monetary equivalent. It is characteristic here to disregard servants who are not considered as people, and slavishly respectful attitude to masters - while they are in this position. To the means of labor a person is purely consumer, like, incidentally, to his own physical body, which he is inclined to exploit, not at all regretting and worrying about further consequences in the form of weaknesses, diseases, premature aging, etc. "As long as the body can - let it be, but what will happen next, what will I think in advance, be upset and upset - maybe I will die sooner!" At this level, the ideas of the harm of smoking, alcohol, radiation for a person are about as lightweight as, for example, the idea morning wash, which is regarded as pure convention and a tribute to an outdated tradition. A person of this level, generally speaking, is socially dangerous, since the work completely does not give him the taste and sensation of life, as well as the necessary self-affirmation for the 6th house, i.e. sensations "I live as it should", which often leads to uncontrolled aggression. 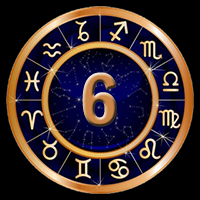 On the contrary, the activation and elaboration of the 6th house connects aggressive and antisocial impulses, directing them to constructive activity. For food, this person is indifferent, for him the fact of its presence is rather important, than the gastronomic subtleties, which are reduced to the difference of the states of a well-fed and hungry belly. The disease is fatalistic, they are regarded as completely independent of anything. At the second level of elaboration of the 6th house, a person recognizes the necessity and even a certain organizing role of labor in his life. He can accept Darwin's thesis that work has turned a monkey into a human being, but in the depths of his soul he sometimes regrets his former happy and carefree existence in the warm fruity paradise of the onset of the Cenozoic era. Yet he reads that a man should be due to his work, well, and talent, probably, too, but here he is being questioned, because the difference in the talents of people makes the world arranged clearly unfair. At this level, not only physical (as with the first level of study at home) is under difficulty, but also any external activity associated with the application of effort, even if it is mental. At this level, a person feels a certain intimate connection with his servants, i.e. people who carry out his personal errands, and does not consider it necessary to pay exact fees for services, which can lead to abuse, if one does not have in mind some general balance in the relationship. Likewise, about your body and health, especially after 40 years, and a couple of serious illnesses, you can start seriously worrying, running around in the morning, swimming in the hole or doing aerobics, depending on the current fashion. This person may already be quite selective in food, but his tastes are differentiated not to such an extent as to become a good cook, although, on the other hand, he can already cook the elementary borsch with meat. At the third level of study at home, 6 people are inclined to perceive labor as the main content of their lives (he is only guessing about its meaning, but feels that he is also somewhere nearby). Now, with difficulty, he understands an occupation that requires internal tension, and internal work is already perceived as a kind of work: moreover, he knows that in a state of intense internal employment he is not capable of any meaningful external actions. At this level, a person begins to see karma, his life becomes more conscious than before, and he realizes that his work needs evolution (God, the believer will say) exactly in the form in which it is offered to him by destiny, and the quality of performance does not depend on only his personal salary and career, but also to some extent the fate of the world. At this level, any result of a person's work bears a distinct imprint of his personality, whether it's chasing or scientific theory. Usually this is a master of high qualification who, of course, uses the services of apprentices, but pays them for it, first of all the possibility of training, i.e. inclusion in its information-energy flow. On the other hand, he himself provides services to people, especially without thinking about it and bearing in mind that God himself will take care of the necessary balance; However, if this does not happen, he can take action personally. The means of labor for him are already very significant, and he is inclined to carefully guard them and take care of them in every way, not only from pragmatic, but often from mystical considerations: he thinks that a good tool brings him luck, and often this corresponds to reality. At this level, a person learns to own not only his physical, but partly higher bodies: the etheric, the astral and the mental. He can be treated by self-suggestion, mantras or prayers, learns to own physical processes (for example, effort of will to regulate pressure, etc. ), concentration of attention, memory management, etc. Now he has a rather subtle taste, which tells him what kinds of food he is desirable, and what are contraindicated, and with the further evolutionary growth the number of the latter increases; in the first place fall meat and fish. At the fourth level of the study of the 6th house, a person perceives as a job almost all his life. The situations that arise around him are so energetic and serious and he sees karma so much better than others that, necessarily, a very great responsibility falls on him, and the price of error is correspondingly high. Now the main burden falls on the internal work, and the external situation the person perceives as a control for his internal achievements. On the other hand, he feels the constant support of his karmic egregor, which tells him when, about what and in what spirit one should speak and do. If such a person is engaged in creativity, he achieves the heights of perfection, and his works have their own destiny, while retaining a distinct impression of the author's personality, but it is very difficult to say exactly what it is expressed (the writing of higher vibrations can not be rationalized and analyzed even with using a computer). The ethics of this person is quite complex, although on the visible surrounding surface it is approaching the general social. But the fulfillment of any of his requests should be considered as a blessing for the one who executes them, and the attentive observer notices it. The question of the balance of services in this case is solved by a high egregor, which, if necessary, will protect such a person from an overly persistent petitioner; he himself believes that any request addressed to him from the outside world has a divine origin, and tries to fulfill it, though not always in the direct sense, but as his egregore suggests. At this level, a person can have a good command of his bodies before the mental inclusive, which means, in particular, power over energy, emotions and thoughts. At the same time, being able to quickly cure or prevent many illnesses, he resigns himself to the karmically necessary and sometimes even takes them on himself specifically for the purpose of the most effective burning of karmic knots - personally and of his own age. The situation at home is typical for the process of labor of a person, when he realizes his idea, embodying it in life. Depending on the level of the preliminary (in the phase of creating the image) inclusion of 5 houses, we can get the whole spectrum from the artisan-apprentice to the real artist. In order to distinguish the 6th house from the 5th, one should pay attention to the technique, i.e. the use of special tools or hard skills, almost independent of the inspiration and personality of a person. Of course, at a high level and the technique is such that you can not do without a certain inspiration, but for yourself the person always distinguishes the 5th house from the 6th, for him this difference is obvious: one thing is the creation of the idea, and quite another is its realization, which , as a rule, a much more boring and less creative occupation (except for people with a strong 6th house). Under the 6th house, they render and receive services, take care of their body: these are hygienic procedures, physical education, hardening, etc. Rabies 6 homes - drug addicts from work or their health, 24 hours per day sitting in the workplace or engaged in hatha yoga, re-center the 6th house, which must necessarily be balanced by the 12th. Diseases going under the 6th house are characterized by desire and efforts aimed at recovery; despair or humility in the most severe cases translate the disease into 12th house, as well as stay in the heaviest wards and closed hospitals and hospitals. Under the 6th house there is also concern for thin bodies; pranayama, auto-training, calming emotions and thoughts, normalizing energy flows, correcting the aura, venting chakras, etc., as well as not too serious diseases of these bodies, accompanied by chronic depression of mood and tone, depressive states, neuroses and mild forms of mental illness heavy go under 12 house, sometimes under 8th and 12th). A strong 6th house is given by a person who will have to work hard in this life, and it is better for him to reconcile with this in advance. He may lack ideas, and then he will realize others, or the embodiment of his own ideas will be extremely laborious, but when working out the result will be worth it, and the person will receive from his work a great inner satisfaction, although at a weak 2 house or 6 square at home to the 2-nd financial reward can, from the point of view of the person, and not correspond to the invested efforts. With a successful study (or with a harmonious 6th house), false pride is possible under the motto "I alone work, but you are all loafers and loafers," with appropriate psychological games. But if a person does not work out a strong house voluntarily, then after a while, karma forces him to do it forcibly: either hard work comes down on him, which can not be refused (for example, caring for sick relatives with all their imaginable and unthinkable physiology and psychopathology ), or worse, diseases that require a lot of effort to recover, and it's good if they do not become chronic. This person needs to learn how to work as much as fate demands of him, and then he will meet unexpected sources of help and various services and patrons; but he needs to learn how to properly accept services and ask for them. With a weak 12th house, it must be remembered that not all work should bring visible returns and be obviously useful - a part must necessarily go to the service of evolution in an impassable for a person form. Work goes along the path of perfect mastery of the technique of labor and your body, which avoids many diseases; However, the weak from the nature of health can be strengthened through systematic exercises, and in extreme cases, a couple of great achievements can be carried out and inadequate tone. A weak 6th house means the initial weakness of the instruments of labor, but not necessarily weak health; the latter, most likely, will depend on how a person relates to his body: strengthens or spends his natural reserves, not knowing how to hold. It is difficult to say whether this person is lazy, this largely depends on the level of Saturn's elaboration. But in any case, fate will not force him to work imperatively, piling a heap of stones and forcing them to build a house of them. Specific work with a visible personal result will be only one of the options for his behavior, and rarely when it will work out well, at least immediately. This is exactly the option when you can not easily pull out the fish from the pond, but you will hardly pull it out, and moreover a considerable one, although it is difficult for a person (and associates) to believe in it at the beginning. Servants do not naturally arise in abundance, but gentlemen of special services do not require; nevertheless, a weak house needs to be worked out, and the ethics of taking and giving services should be thought out and felt even with this aspect. With a strong 12th house, there can be a disregard for work with visible result, especially since the latter is not important, but it is wrong. In general, with a weak 6th house it is morally difficult to live, because it always happens that the result of your work is of no particular interest to anyone; working out is to find such work and so it to make that this interest nevertheless has arisen and the work has received a recognition and it has appeared necessary to at least one person, except the author. Harmonious 6 house often gives excellent health, which is difficult to destroy, although with years, with due diligence, this will undoubtedly be successful. But at first the diseases will be rare (except, perhaps, earlier childhood, going under 1 house) and insignificant. In general, people will be prone to cleanliness and hygiene, but in difficult conditions will reduce their demands and will not suffer from this especially. Working out gives, that is called, the golden hands, the master who can literally everything, from work on the milling machine and ending with artistic painting, with masterly tailoring of shoes and dresses in the gap. If a person begins to be lazy (which will be the inclination) and say to himself: "I can easily, and therefore I will not be, uninteresting" (which, of course, contains an element of self-deception, because, despite the harmonious aspects, to do something really it's always difficult), then he does not acquire the qualification and eventually degrades with crafts that are completely worthless of his abilities and talents. This person can naturally and correctly handle servants who will love him and serve honestly and conscientiously, at least if he does not honestly and frankly exploit them. The flow of services rendered to them and to him flows around this person naturally and at ease and usually with a positive balance for all participants; the study requires the adjustment of this flow towards the reduction of purely egoistic accentuation and awareness of the true meaning of what is happening: to render another service does not necessarily mean helping him to follow the spiritual path; If a person wants to be a black teacher, then he still needs to see what he really does. The stricken 6th house gives a rather difficult life program, especially if it is not worked out voluntarily at the first hints of fate. A man will not understand for a long time what his life really wants from him, since the work, including a very hard one, will be entrusted to him a lot, and the results will not suit anyone, and least of all himself. Perhaps repression and hypercompensation, when any result of labor is perceived as complete perfection, but such a vital position is not easy to maintain; at its failure it is probable deep depression and despair with belief "I can not make anything standing". Meanwhile, there may be a lot of enthusiasm, but depending on the position of the 6th house in the horoscope, various obstacles to careful and proper performance of the work are likely, and the last reason will be a biased attitude towards oneself and a biased evaluation of the result, which must be methodically eliminated: a person works for people, and in the final analysis, their evaluation, even of a narrow reference circle, is important, but not only the person himself should be judged on the merits of his creations, at least to level 4 of the 6th house. This aspect illustrates the general position that before karma is given to a person, karma teaches him to work on the dumb for a long time, and gives a rifle only when the eye has an optical sight. Nevertheless, careful study can leave the vicious circle of failures, and then the person will surpass his colleagues with a harmonious house with the fineness and precision of work. The body can present a number of problems, and it is best to be treated by natural methods, avoiding drugs and surgeons, although, of course, there may be a special need for both. On the other hand, one should not devote all his life to the struggle for one's health: you need to find the equilibrium point, as well as when solving the problem of satisfying your moon's appetites, and having cured some of the illnesses, reconcile with the others and live without paying special attention to them. A person with an affected card is not made for health, nor is it for happiness; he has somewhat different goals and objectives.